You can cook up Trinitite only in a nuclear kitchen. The material comes from the US' nuclear test blast of the Trinity Bomb in New Mexico on July 16, 1945. It was Dr. Frankensteined when the intense heat of the explosion melted areas of the surrounding sand, which subsequently cooled into the green-tinted rocky glass you see here. Lab tests indicate its chemical composition as nearly pure melted silica, with traces of Olivine, Feldspar, and other desert sand minerals. 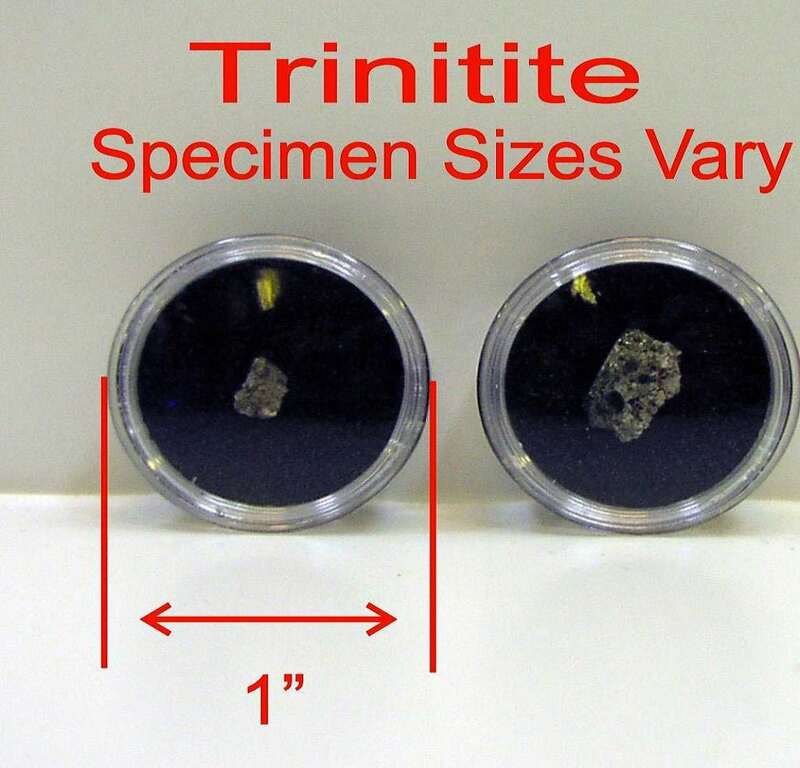 So why do you want a fraction-of-an-inch sample of Trinitite? Purely because it's a collector's item, a historical artifact, a conversation piece, and something your friend Cornelius probably won't have. Apparently the government ordered all but a small cache of the material to be buried at the blast site, and then made its removal illegal in 1952. Seller Images SI says samples of it are "extremely rare." For WWII buffs, and I guess rock collectors if those still exist, Trinitite represents a unique piece of American history. 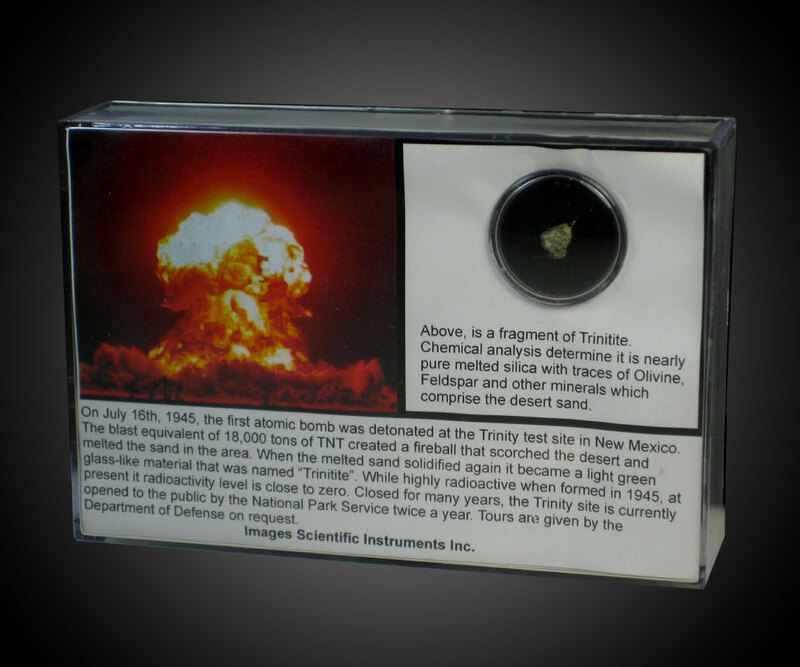 The sample here arrives enclosed in a 4" x 5" plastic box frame, with its description and story printed underneath, and the iconic mushroom cloud alongside it.